The inaugural DPLA Board of Directors was established in September 2012 to support the DPLA’s goal of creating and maintaining a free, open, and sustainable national digital library resource. The current DPLA Board is composed of public and research librarians, technologists, intellectual property scholars, and business experts from around the country. Cathy Casserly is CEO of Creative Commons. Cathy’s career is dedicated to openness, and particularly to leveraging possibilities at the boundaries of formal and informal learning to equalize educational opportunity. She has been a long-time advocate of open educational resources (OER). As the Director of the OER Initiative at The William and Flora Hewlett Foundation she managed investments totaling more than $100 million to harness the efficiency and effectiveness of knowledge sharing worldwide. 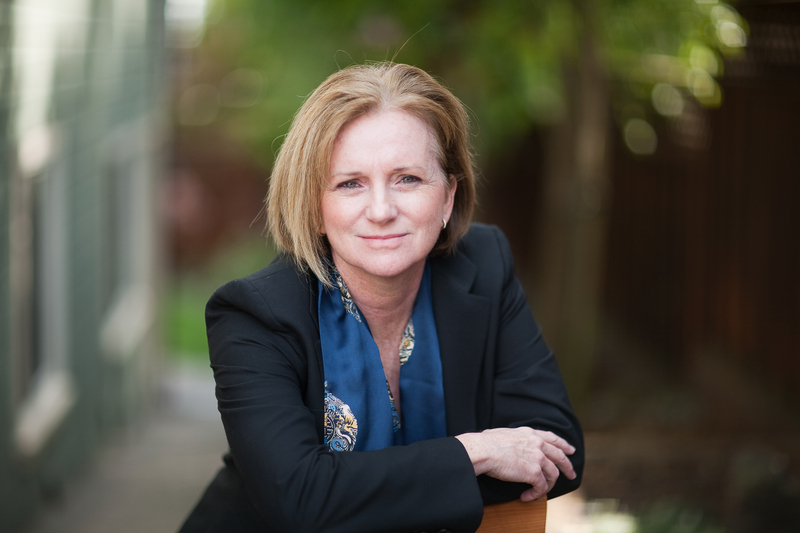 At the Carnegie Foundation for the Advancement of Teaching, Cathy spearheaded work in the areas of transparency and technology as a Senior Partner and the Vice President of Innovation and Open Networks. With the extended Carnegie team she launched a continuous performance improvement system to create alternative mathematics pathways for community college students. Cathy has been instrumental in supporting many young organizations and currently sits on the Startl board, the Peer-2-Peer University board and serves on the advisory committee for MIT OpenCourseWare and the University of the People. She earned her Ph.D. in the economics of education from Stanford University and a B.A. in mathematics from Boston College. Robert Darnton is the Carl H. Pforzheimer University Professor and University Librarian at Harvard. Darnton was educated at Harvard University (A.B., 1960) and Oxford University (B.Phil., 1962; D.Phil., 1964), where he was a Rhodes Scholar. After a brief stint as a reporter for The New York Times, he became a Junior Fellow in the Society of Fellows at Harvard. He taught at Princeton from 1968 until 2007, when he became Carl H. Pforzheimer University Professor and Director of the University Library at Harvard. He has been a visiting professor or fellow at many universities and institutes for advanced study, and his outside activities include service as a trustee of the New York Public Library and the Oxford University Press (USA). He has written and edited two dozen books. Paul N. Courant is University Librarian and Dean of Libraries, Harold T. Shapiro Collegiate Professor of Public Policy, Arthur F. Thurnau Professor, Professor of Economics and Professor of Information at the University of Michigan. From 2002-2005 he served as Provost and Executive Vice-President for Academic Affairs, the chief academic officer and the chief budget officer of the University. 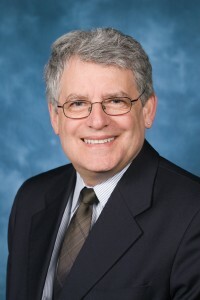 He has also served as the Associate Provost for Academic and Budgetary Affairs, Chair of the Department of Economics and Director of the Institute of Public Policy Studies (which is now the Gerald R. Ford School of Public Policy). In 1979 and 1980 he was a Senior Staff Economist at the Council of Economic Advisers. Courant has authored half a dozen books, and over seventy papers covering a broad range of topics in economics and public policy, including tax policy, state and local economic development, gender differences in pay, housing, radon and public health, relationships between economic growth and environmental policy, and university budgeting systems. More recently, his academic work has considered the economics of universities, the economics of libraries and archives, and the effects of new information technologies and other disruptions on scholarship, scholarly publication, and academic libraries. Paul Courant holds a BA in History from Swarthmore College (1968); an MA in Economics from Princeton University (1973); and a PhD in Economics from Princeton University (1974). Laura DeBonis previously worked at Google where, over six years with the company, she held a variety of management positions including her final role as Director of Library Partnerships for Book Search, Google’s initiative to make all the world’s books discoverable and searchable online. A lifelong lover of books and libraries, Laura started her career in documentary film and multimedia and in strategy consulting for internet businesses. She is a graduate of Harvard College and has a MBA from Harvard Business School. 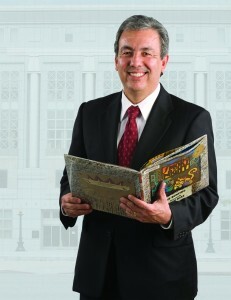 Luis Herrera is the City Librarian of the San Francisco Public Library, where he is responsible for the administration of the city’s 28 libraries including a main library and 27 neighborhood branches. 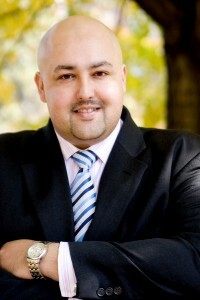 Previously, Mr. Herrera served as the Director of Information Services for Pasadena Public Library and the Deputy Director of the San Diego and Long Beach Library systems in California. He has served as President of both the Public Library Association and the California Library Association. In January 2012, Mr. Herrera was named the Library Journal’s Librarian of the Year. Mr. Herrera is currently Chair of the Cal Humanities and was recently nominated by President Barack Obama to serve on the Board of the Institute of Museum and Library Services (IMLS). Mr. Herrera earned his B.S. from the University of Texas at El Paso, a M.P.A. from California State University, and a M.L.S. from the University of Arizona. Jamie Hollier is a project manager and consultant who is passionate about technology and the ways it can be used to create stronger communities. Jamie is the owner of Anneal, a library consulting firm, and a partner at Commerce Kitchen, a web design, development, and marketing company. 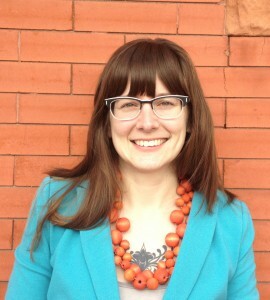 One of her current consulting roles is providing project management for DigitalLearn.org, a Public Library Association (PLA) Initiative funded by the Institute of Museum and Library Services (IMLS). Previous to this project, Jamie was the project manager for the Colorado State Library’s Broadband Technology Opportunities Program (BTOP), was a rural library manager, and worked in the publishing industry with Cambium Learning. Jamie holds a M.L.S. from Clarion University, a certificate in Project Management from Colorado State University, and a B.F.A. in Art History from Metropolitan State University of Denver. 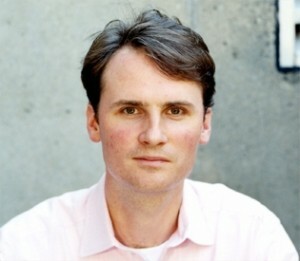 John Palfrey is the Head of School at Phillips Academy, Andover. He also serves as a Trustee of the Knight Foundation and the chair of the Steering Committee of the Digital Public Library of America. John’s research and teaching focus on new media and learning. He has written extensively on Internet law, intellectual property, and the potential of new technologies to strengthen democracies locally and around the world, and is the author or co-author of several books. John served previously as the Henry N. Ess III Professor of Law and Vice Dean for Library and Information Resources at Harvard Law School. He is a director of the Berkman Center for Internet & Society, where he was executive director from 2002-2008. John graduated from Harvard College, the University of Cambridge, and Harvard Law School. He was a Rotary Foundation Ambassadorial Scholar to the University of Cambridge and received the U.S. EPA Gold Medal (highest national award). 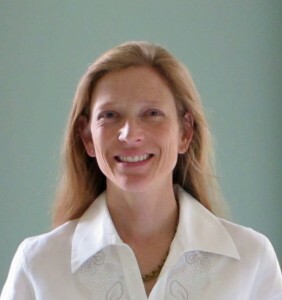 Amy E. Ryan became the first female president of the Boston Public Library in 2008. As President, Ms. Ryan provides leadership to one of the most comprehensive library systems in the country. With a collection of over 22 million books, maps, manuscripts, and other items, the Boston Public Library is the Library of Last Recourse for all citizens of Massachusetts.Amy Ryan has over 30 years of public library management experience and was the Director of the nationally recognized Hennepin County Library in Minnesota from 2005 to 2008. Prior to that Ms. Ryan served in leadership positions over 28 years with Minneapolis Public Library. Ms. Ryan is the recipient of numerous awards and recognitions, one of which is a 2007 Resolution of the City of Minneapolis honoring and thanking Committee Co-Chair Amy Ryan for the consolidation of city and suburban libraries. In 2004, Ms. Ryan was the recipient of the American Institute of Architects Special Award and was honored with a Resolution of the City of Minneapolis. In 2003, Ryan received a Certificate of Merit from the Minnesota Library Association. Amy Ryan has studied at the Institute for European Studies, Freiburg, Germany. She holds a Bachelors Degree from Mankato State University in Minnesota, and a Masters in Library Science from the University of Minnesota. Siva Vaidhyanathan is the Robertson Professor and the Chair of the Department of Media Studies at the University of Virginia. He also teaches in the University of Virginia School of Law. Vaidhyanathan is the author of The Googlization of Everything And Why We Should Worry (University of California Press, 2011),Copyrights and Copywrongs: The Rise of Intellectual Property and How it Threatens Creativity (New York University Press, 2001) and The Anarchist in the Library: How the Clash between Freedom and Control is Hacking the Real World and Crashing the System (Basic Books, 2004). He also co-edited (with Carolyn de la Pena) collection, Rewiring the Nation: The Place of Technology in American Studies (Johns Hopkins University Press, 2007). After five years as a professional journalist, Vaidhyanathan earned a PhD in American Studies from the University of Texas at Austin. He has taught previously at Wesleyan University, the University of Wisconsin at Madison, Columbia University, New York University, and Universiteit van Amsterdam. You can follow him on Twitter at @sivavaid.